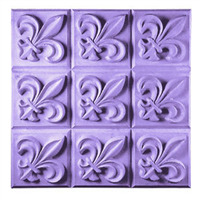 The round Fleur De Lis Mold is used for making wax tarts for a potpourri or tart burner. When the scented tart heats up, it fills the room with aroma. 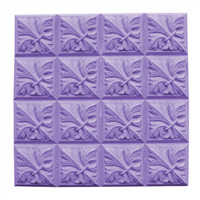 The molds are also great for guest soaps. 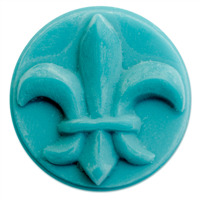 Traditionally, the fleur de lis has been used throughout history to represent French royalty, signifying perfection, light, and life. 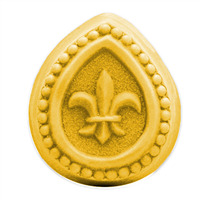 The Guest Fleur de Lis Teardrop Soap Mold features the iconic image in a striking teardrop shape with majestic detail.